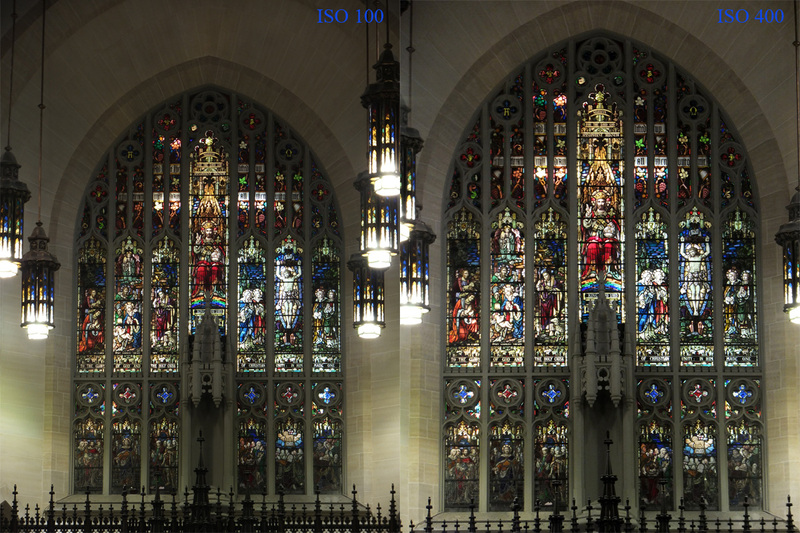 This is a side-by comparison between an image shot at ISO100 & ISO400. The brighter stained-glass areas both came out fine-grained. The darker stonework the ISO400 image showed more grain when enlarged but still acceptable. In bright daylight there is not a big difference.